Humans have been taking interest in stars since prehistoric times. As our technology developed, we invented instruments that have enabled us to look at the stars even more closely. But sadly common people who reside in urban areas cannot see stars anymore from their original locations due to heavy light pollution. So if you are an astrophile or just someone who loves to stargaze, here’s a list of wonderful places just for you where you can enjoy the night sky full of stars. This non-polluted stretch of 600 miles of beautiful desert with an elevation of 500m is one of the most prominent sites in the world for space observation. There are three main factors here i.e. high altitude, clear unpolluted skies and the direst (non-polar) air on Earth that attract vast numbers of astrophiles from around the world. The huge antennas angled towards the stars in the Atacama Desert are an ethereal sight. ALMA Observatory is located in Atacama Desert where international scientists “search for our cosmic origins” through advanced satellites. You can visit control room and labs on weekends. 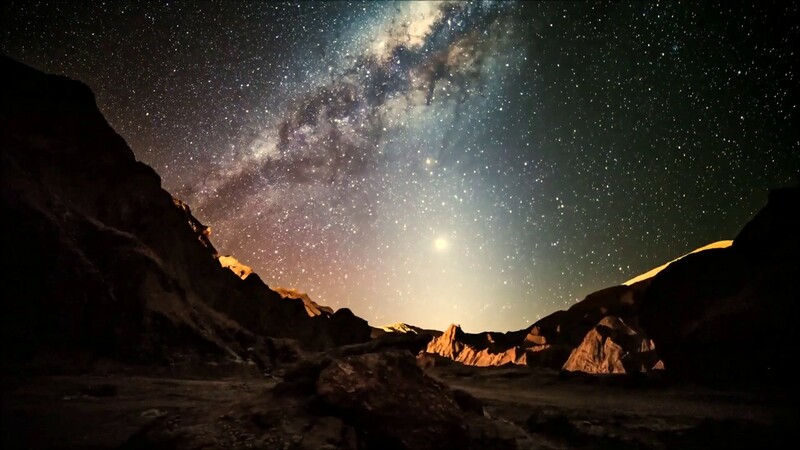 It is recommended that you register yourself for a desert “star tour” with San Pedro de Atacama Celestial Explorations to make the best of this “starry” opportunity. 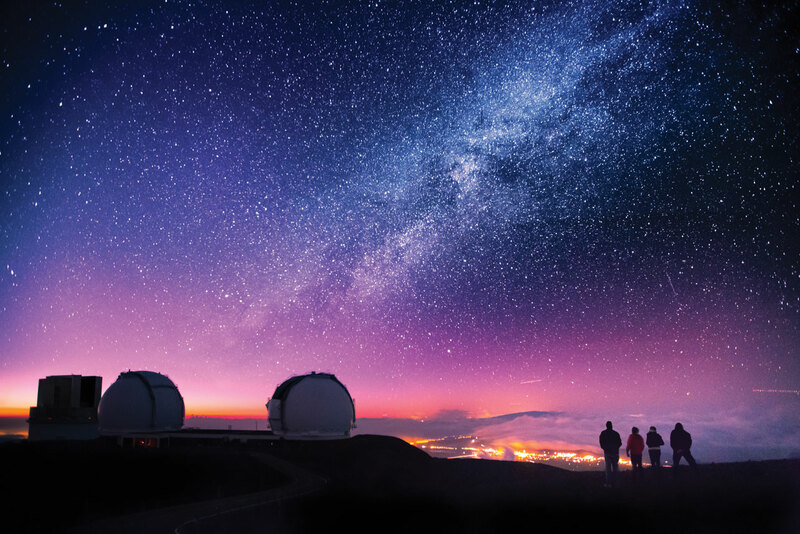 As the popular saying goes, “Nothing worth having comes easy”, Mauna Kea is one of those astro-tourism sites for stargaze where not everyone can go due to high risk of altitude sickness. However, those are really passionate about heights and stars must give it a visit for the love of watching stunning sunsets and sunrises. 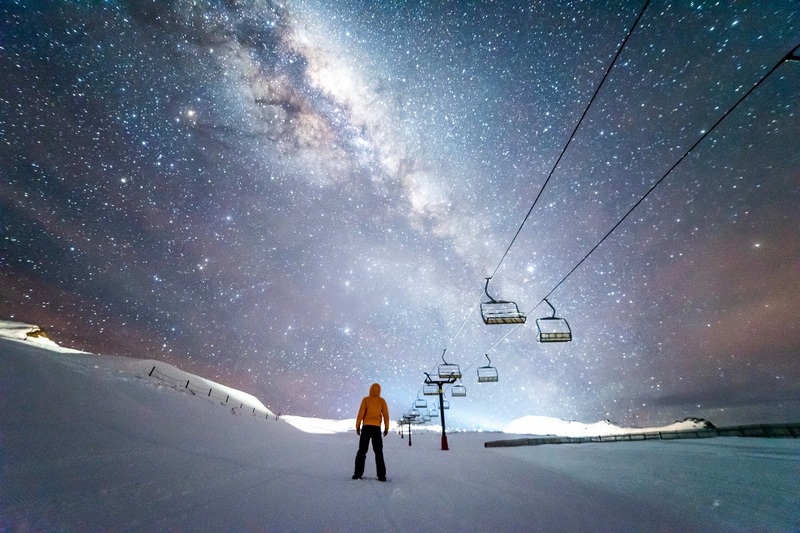 The sky glimmering with stars is an otherworldly sight and an extraordinary experience. Mauna Kea is actually an inactive volcano situated on the southernmost Island of Hawaii. 13 observatories that are owned by 11 countries are set up on a height of 4200 meters on Mauna Kea. Visitor Information Station is the answer to your prayers. Want to know why? Well, because it provides publicly-funded telescopes that you can use. And if you don’t know how to use a telescope, don’t worry. Volunteers are available to help you with that. Isn’t it absolutely amazing (even more amazing than what I can describe in words)! This is the only place in the United States from where the whole of Southern Cross is visible. Another brilliant location for the people who love to get lost in the beauty of stars is Kerry peninsula in Ireland. The star clusters, constellations, nebula and even the Andromeda Galaxy are visible with naked eyes. Kerry peninsula enjoys a great geographical location with the Kerry Mountains and the Atlantic Ocean at its edges. 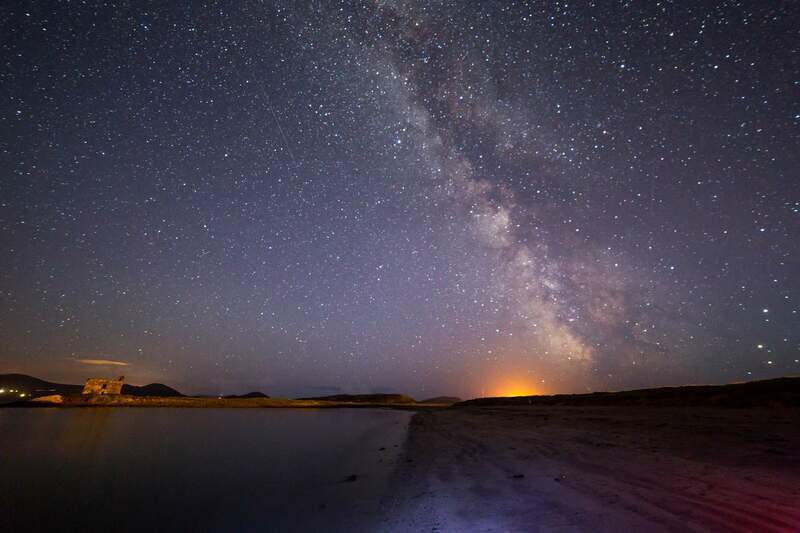 You can indulge in stargazing to your heart’s content in Kerry’s Dark Sky Reserve. Inscriptions on prehistoric monuments found in this region are suggestive of the fact that the ancient inhabitants of this region were space enthusiasts too. People who love to love stars know that the night comes with its own surreal beauty. 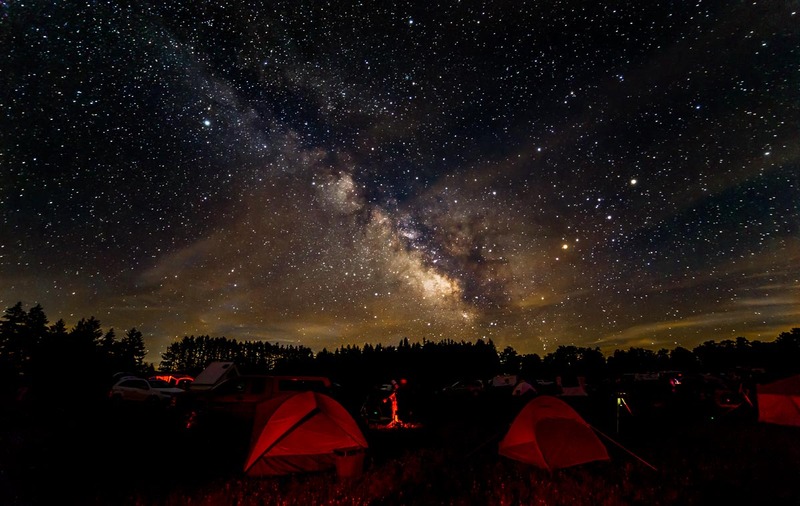 The Cherry Springs State National Park in Pennsylvania is a wonderful location to immerse yourself in the love of starry skies. You might even get to see Venus, the International Space Station, and the Omega Nebula if depending on what time of the year you choose to go there. The park is open all year round BUT (yes, this is not a normal “but” but a big BUT) they offer free advice on when it is best to visit this specter of nature. 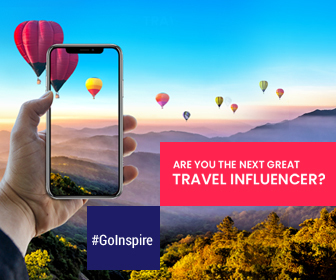 So please do take advantage of that before planning your trip. If you want to see Milky Way, Spring and Summer are the best times. But (yes, again a “but” but not as big as the previous one) Fall and Winter are the best seasons for the overall clarity of the sky. Also, there is a biannual Star Party that the park hosts. It is a place where astronomers from different parts of the world meet to participate in public viewings and lectures. So if you would want to attend that check the dates when it is held and GO. You must have heard about the iconic heads of Easter Island. These iconic heads are a series of sculpted heads dating between 12th and 17th Centuries. However, few know that the island also has a rich history of astronomy and navigation. And let’s stop digging when we find early Polynesians who settled on Easter Island. As the history goes, these settlers depended on their knowledge of stars to navigate through the Pacific Ocean. Stars have always been an important aspect of human life. Sea voyages wouldn’t have been possible in the past without stars. They were the only source of guidance at that time. 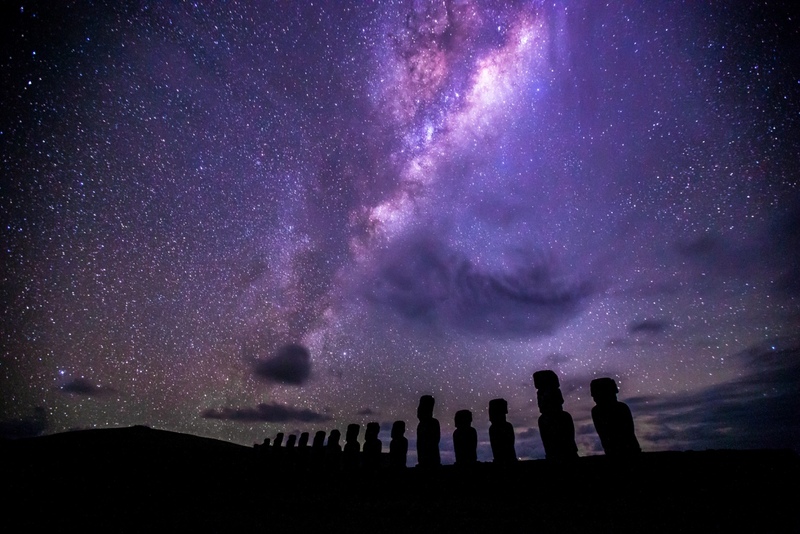 Rapa Nui Satrgazing Experience Tour offers you the best of both worlds. Learn about the connection between navigation and astronomy while soothing your eyes that have grown weary of seeing city life and a grey sky without stars, with a spectacular view of stars.